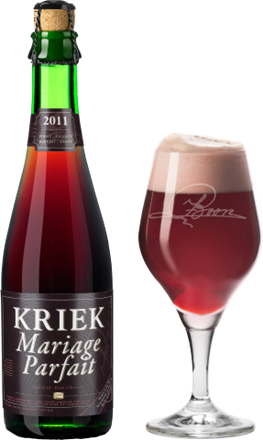 Kriek is a Fruit Lambic which has 3.5% ABV brewed by Lindemans from Vlaanderen, Belgium. We've already told you that our family never does anything the way other people do. Kriek Lindemans is a good example of that. In order to obtain a beer like no other, we have been adding whole sour cherries to our lambic for generations. Our meeting with American importer Charles Finkel in the 1970s revolutionised the fruit beer segment. Charles convinced us to export our old kriek to the United States by boat. What we had not thought of is that the movement of the waves would reactivate the fermentation process and cause the corks to pop during the trip. It was like something out of The Adventures of Tintin. To prevent that from happening, we therefore developed an alternative production method for our kriek. We use fresh, not from concentrate, unsweetened cherry filtrate which we blend with lambic that is at least one year old before fermenting & macerating for up to 3 days and pasteurising the whole batch. So the corks don't pop. 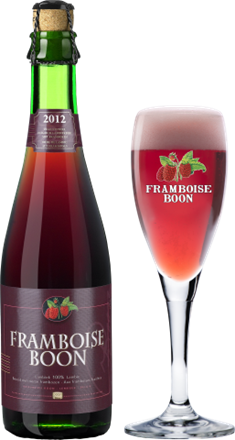 Due to the use of filtrate and pasteurisation, this kriek is sweeter and fruitier than Old Kriek Cuvée René, which undergoes a second fermentation process in the bottle. Thanks to its innovative flavour, it was a resounding success both here in Belgium as well as around the world. Nowadays, it is undoubtedly the reference kriek for consumers.